(864) 834-2562. Toll free: (877) 271 8419. What’s New/ Best Seller • SONNY’S Complimentary Towel Program. 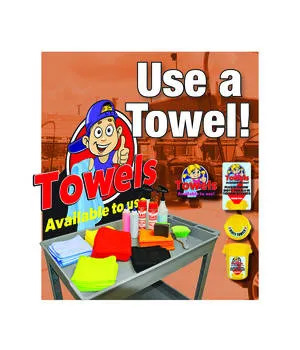 Advantages/Features • SONNY’S Complimentary Towel Program builds customer loyalty by providing customers detailing towels and helps to increase repeat business in your car wash. Key features of the program include: increase volume with towels, window cleaner and other items available for customer use; customizable for each wash, either at POS or in free vacuums area; and complete marketing signage available. Advantages/Features • Final Touch PLUS is a high silicone, water based formula that is ideal for both manual or on-line application. MAX-E Gloss is a high solids silicone formula that leaves tires shining and resists sling. It is ideal for on-line or hand application. ULTRA Gloss is a maximum strength silicone based tire dressing that can be applied either manually or by a tire dressing machine. It provides the longest lasting, highest shine that resists both rain and dirt. Turtle Wax is one of the most recognizable brands in the world, synonymous with high-quality products and a long-standing tradition of excellence. Over the last 75 years, the Turtle Wax brand has continually produced fine car care products, and is constantly working to provide additional value to its customers. What’s New/Best Seller • Q Connect Chemical Management System. Advantages/Features • The Q-Connect system is an innovative chemical management system that helps solve operational and chemical storage challenges. The products sport the same cleaning power as the Turtle Wax Pro products but in an extra hyper-concentrated format. 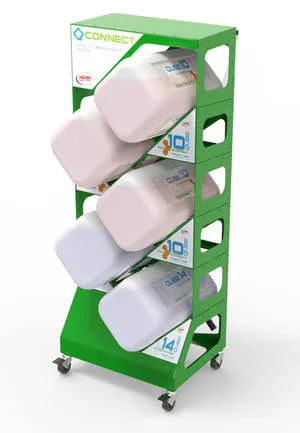 The small storage (17.5” X 13”) footprint can hold five chemical jugs on one rack. The three-gallon jug cleans the same number of vehicles as a five-gallon jug. The patented insert allows for quick and easy unloading and reloading of chemicals. 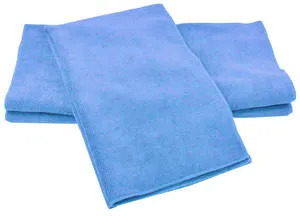 Doctor Joe is introducing Ultra Plush, a line of heavier-weight, lint-free microfiber towels for drying, polishing, detailing, and cleaning. Advantages/Features • Detail Pro is now available in pint-size bottles. 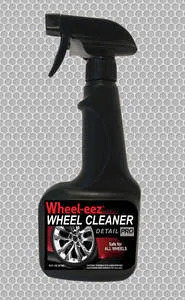 Wheel-eez Detail Pro removes grease and dirt and effectively and safely cleans all wheel types in just a few minutes. The product is non-corrosive and prevents etching even with rough cast alloy wheels. Ultra-safe for use on uncoated and polished aluminum, chrome, painted, anodized, and powder coated wheels. Just wet the surface with water, hand spray evenly and within two minutes dirt, grime, and even the worst greasy brake dust will be loosened. Perfect for high-end sports cars and custom wheels with tough to remove brake dust. 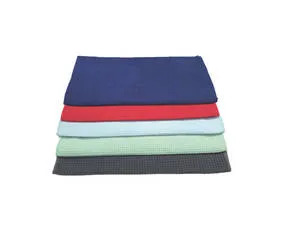 Texas Microfiber manufactures high quality, scratch and lint-free microfiber cloths and cotton towels for professional car care companies for drying, cleaning, and polishing. Texas Microfiber delivers the best factory-direct products nationwide. 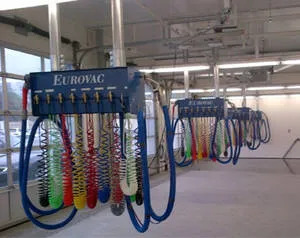 Advantages/ Features • Eurovac’s central chemical dispensing systems improve efficiency by providing an all-in-one workstation for your detail technicians. These workstations include options of three to eight chemicals, heated extraction, and dry vacuum. Customers, on average, eliminate 30 percent of chemical waste using the system. North York, ON M9L 1Z3. What’s New/Best Seller • Continental Girbau Washer Extractor. 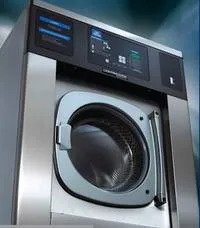 Advantages/Features • By replacing top-load washers with commercial-grade Continental Crystal Clear Window Cleaning System washers, detailers can cut water usage by up to 57 percent over their old washers and provide faster washing time. The system eliminates the need for drying towels and provides streak-free windshields and windows. The process uses automatic chemical dosing — combining the perfect blend of cleaning chemicals and wash action — for unsurpassed towel cleaning results. Operators simply load, enter a program number, and press start. Towels are ready to be used after the high-speed extraction. The system is backed by an industry-leading warranty and unrivaled technical support. BAF Industries, manufacturers of the PRO Product Line for the professional car care industry since 1935, is headquartered in Tustin, California with a major chemical manufacturing and packaging plant in Florence, Kentucky. 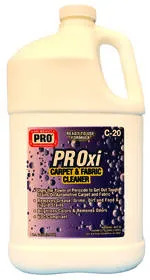 What’s New • PRO C-20 PROxi Carpet & Fabric Cleaner. Advantages/Features • This powerful, ready to use formula utilizes the power of peroxide to penetrate and deep clean automotive carpet and upholstery. It quickly cuts through grease, grime, and dirt, as well as food and liquid stains. It neutralizes and removes smoke, mold, mildew, auto, pet, and food odors. The cleaner is excellent for use on carpets, fabrics, upholstery, and any other washable surfaces, and leaves surfaces bright and clean with no residue. The product is biodegradable and VOC compliant. Customer/Operator Support • Technical support is available through the sales department and on the company’s website. With over a century of experience, Meguiar’s is one of the world’s leading surface care product companies, providing highly specialize products for almost every conceivable type of surface. What’s New/Best Seller • Carpet & Cloth Re-Fresher. Advantages/Features • Carpet & Cloth Re-Fresher is formulated to quickly and easilyremove unwanted odors in automotive interiors while leaving a pleasant and refreshing new car scent behind. Simply spray onto carpet or cloth and allow the product to penetrate and self-dry. There is no need for agitation or rubbing. With no residue left behind upon completion, you are left with a clean, refreshed interior and a pleasant scent that lasts for weeks at a time. 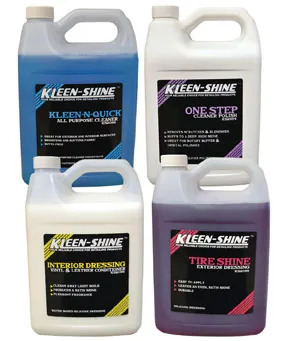 Jay Leno has worked closely with industry-leading professionals to develop an all-inclusive line of vehicle care products that deliver the essence of world-class cleaning, protection, and shine capabilities. What’s New/Best Seller • Evaporate. 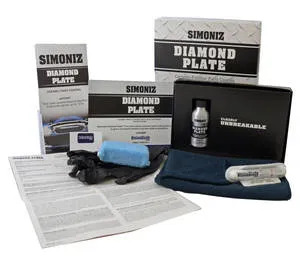 Advantages/ Features • Jay Leno’s Garage new drying aid Evaporate is designed to help prevent swirl marks and towel scratches by lubricating the vehicle’s surface during the towel-drying process. It also helps prevent water spots while leaving behind a super high-gloss finish. Application is as easy as spraying Evaporate over a wet area of the vehicle that needs to be dried, then wiping it down with a damp towel and buffing to a glossy finish with a second, dry towel. The easy-to-follow steps create a vastly improved finish over conventional methods with little extra work.